Many of us indulged in turkey and fixin's last week and it's sure hard to deny that comfort food. Hopefully you also indulged in the comfort of family and friends and that there's more where that came from in the coming weeks. This Saturday December 6th is St. Nicholas Day to commemorate the death of the Greek Bishop that ancient legend says was well known for giving to needy people, especially children. By the Middle Ages, he had become the patron saint of both Greece and Russia. The Dutch kept his feast day of December 6 as the time to lavish presents on children who left their shoes out the night before. It was the Dutch who brought the custom of "Santa Claus" to the United States. By the middle of the 19th century, America had embraced the custom as the center around which all of Christmas revolved. 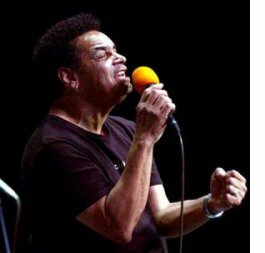 December 6th is also the day of the 2014 Bradenton Blues Festival on Florida's West coast in historic downtown Bradenton. Proceeds from this festival support Realize Bradenton’s youth, art, and music programs. an industry leader for ever 12 years. Early-bird discount if you act now! Otis Taylor and his talented daughter Cassie Taylor pose with their BFG at the 2014 BMA's in Memphis, TN. LAST WEEK'S CORRECTION: Fan Judy Blackwell (not Maxwell) had her BFG autographed by Samantha Fish and Mike Zito in the UK. Sorry Judy! Start snapping those pics with the 12th annual Blues Festival Guide magazine! Find the Digital Edition of the 2014 BLUES FESTIVAL GUIDE Magazine on our website and enjoy 98 pages jam-packed with blues, news, history, lifestyle and of course, FESTIVALS! 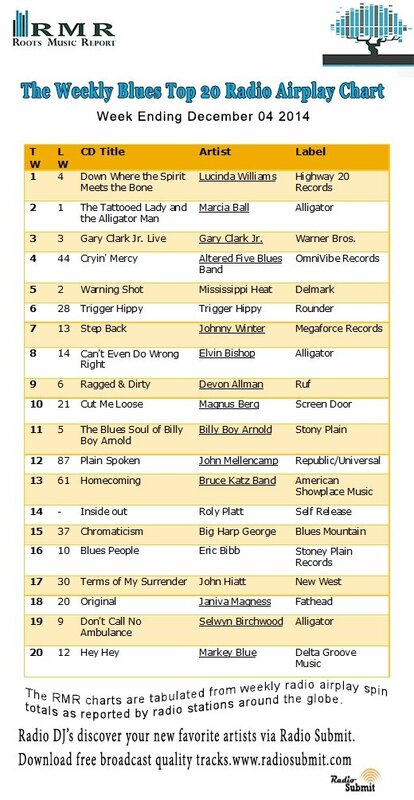 Our 2014 edition is sponsored by the Jackson Rhythm & Blues Festival in Jackson, MS.
On Good News, Ronnie Earl is joined once again by The Broadcasters who are: Lorne Entress (drums), Dave Limina (keyboards) and Jim Mouradian (bass), his band of over 25 years, to create a mostly instrumental CD of spellbinding intensity and deep soul that will add to his growing collection of landmark albums. Produced by Earl and recorded at Wellspring Sound in Acton, Massachusetts, Good News also includes special guest Diane Blue, whose soulful vocals add further power to several of the tracks, as well as guitarists Nicholas Tabarias and Zach Zunis. "I Met Her On That Train"
"Solid Ground [Ruf] is my best album to date," says the 44-year-old bandleader simply. "I put more time, love, blood, sweat and tears into this recording than any of the others. I love every song on it and the result is a musical variety that I hope touches something in everyone." Accepted wisdom declares artists prepare throughout life for their debut and much less before the next, implying a drop in quality. Altered Five, the hip Milwaukee quintet, however, shatters the cliché. 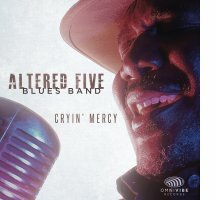 Formed in 2002, their debut, Bluesified (2008) contained classic rock covers and Gotta Earn It (2012) originals, now Cryin’ Mercy explodes with sensational blues-powered originals. 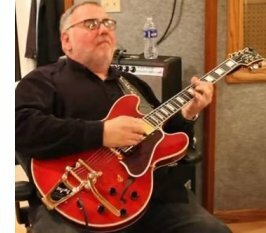 The eleven love-struck tracks are produced by blues guru Tom Hambridge star Jeff Taylor (vocals), Jeff Schroedl (guitar), Mark Solveson (bass), Scott Schroedl (drums) and Raymond Tevich (keyboards). TAMPA BAY, FL - Take Your Spring Blues Vacation in Florida! Plan to join us on the sunny shores of Tampa Bay, Florida, for the 2015 Tampa Bay Blues Festival. 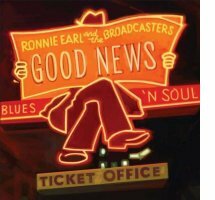 This three day blues music event on April 10, 11, & 12, features Boz Scaggs, Tower of Power, Ronnie Earl & The Broadcasters, Tab Benoit, Rod Piazza & The Mighty Flyers, Carolyn Wonderland, Southern Hospitality, John Nemeth, and others. 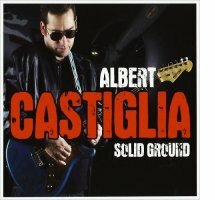 A total of 22 great blues shows! You will really love our VIP experience which includes admission, front stage seating, two large shade tents on the bay, gourmet foods from our on-site chefs and local restaurants, and complimentary, unlimited beer, wine, spring water, and soda. This is one of the best VIP packages offered by any festival, and they will sell out soon. BURNLEY, LANCASHIRE, UK - Colne’s Great British Rhythm and Blues Festival has been voted the best in Europe for the second year running. The annual music event which brings Pendle’s capital of cool alive across the August Bank Holiday weekend has been named the Best Blues Festival in the European Blues Awards 2014. LAUGHLIN, NV - There are certain musicians who are widely appreciated by other, more famous musicians. They are somewhat of musical icons though the general public may not be aware of their status. This is Gary U.S. Bonds. One of his fans is Bruce Springsteen; another was John Lennon. There are others who know that Gary U.S. Bonds is a true original. A guy who was wrapping rock around the blues long before it became fashionable. 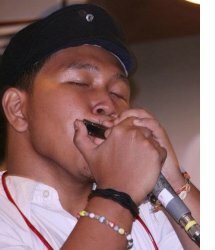 JAKARTA, INDONESIA - Gilang Pandeka is a harmonica player from Jakarta, Indonesia. He never had any interest in playing music before he met ‘the Blues,’ even though his family played music as a hobby. But on November 19, 2009, Blues came after him. Gilang went to an independent movie festival in Jakarta where he heard a video clip of an unknown, non-mainstream musician. There was one song that gave chills up his spine, called "Blues Iblis" (The Devil Blues) played by Adrian Adioetomo on guitar. The lyrics, the rhythm, the sound of guitar and Adrian's voice keep running in his head. He discovered that Adrian was influenced by Mississippi Delta Style Blues. His friend Naquib lent him Adrian CD's along with a Robert Johnson, Son House, Charley Patton, Tommy Johnson and Blind Lemon Jefferson mixtape. His journey in Blues had began. PLEASE NOTE: WE ARE NO LONGER ACCEPTING PRE-BOOK DEPOSITS! LRBC #25 WILL OPEN THE WAITLIST ON DECEMBER 15 AT 11:00AM CST. See lineup for LRBC #25 here! 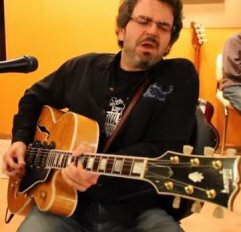 WESTVILLE, NS, CA - Bill Stevenson's Nine Steps Band, 2014 winners of the East Coast Blues Society "Maritimes to Memphis Blues Challenge," will perform at the Whitetail Pub and Grill (1988 S Main St, Westville, Nova Scotia, Canada) at 9 pm, December 6. Tickets are $15 in advance, and $18 at the door. The show is in support of the group’s effort to head back to Memphis in 2015 to compete in the International Blues Challenge. CHARLOTTE, NC - Al Coffee & Da Grind will be representing the Charlotte Blues Society at the International Blues Challenge (IBC) in Memphis. A Fund-Raising concert event to help cover travel expenses, will be held Sunday, January 4, 2015 at the Double Door Inn in Charlotte, North Carolina. SALT LAKE CITY, UT - Friday December 19 the Utah Blues Society Member Appreciation Holiday Party will be held at The State Room (638 So. State St., Salt Lake City, Utah). It's FREE for 21 and up. Doors open at 7 pm with social hour 'till 8, then a Blues Trivia Contest from 8-9 pm with prizes galore! Live music follows 9:15 to 11:30P. so we can share the good news with our readers!! The 2015 Blues Music Award nominees will be announced next week, most likely on Wednesday, December 10. The nominees will be listed here on the newspage at that time. We will also be making announcements about ticket sales and voting. Remember, anyone can buy a ticket to the show on May 7 but only Blues Foundation members can vote to decide who wins. But anyone can become a member in order to vote for your favorites! 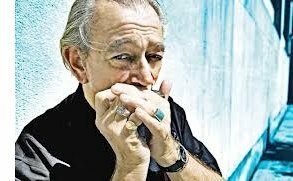 If you want a great harmonica player for your record, Charlie Musselwhite is the go-to guy. 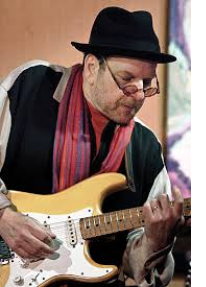 He has played with Ben Harper, Tom Waits, the Blind Boys, Cyndi Lauper, and Bonnie Raitt to name a few. But he also makes his own records. Including a smoking new live album, Juke Joint Chapel. The great Charlie Musselwhite. Next time in the Bluesmobile. Not all upcoming blues festivals are listed here at certain times of the year due to space constraints. Unless highlighted, festivals are no longer inked due to increasing spam. For a complete list and links see our comprehensive website. We produce the annual Blues Festival Guide magazine (publishing our 12th annual in 2014), affiliated with the top-ranking website: www.BluesFestivalGuide.com, and this weekly blues newsletter: The Blues Festival E-Guide with approximately 30,000 weekly subscribers.